Journal of Biosocial Science is a leading interdisciplinary and international journal in the field of biosocial science, the common ground between biology and sociology. It acts as an essential reference guide for all biological and social scientists working in these interdisciplinary areas, including social and biological aspects of reproduction and its control, gerontology, ecology, genetics, applied psychology, sociology, education, demography, health and epidemiology. Publishing original research papers, short reports, reviews, lectures and book reviews, the journal also includes a Debate section that encourages readers’ comments on specific articles, with subsequent response from the original author. 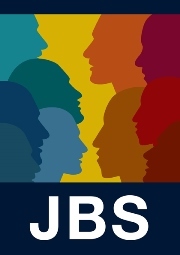 JBS is truly international both in terms of geographical areas covered and its contributors. Its reputation for high quality and outstanding scholarship has made it into one of the leading journals in the area of biosocial science.